All-Star Moment: Lou Gehrig opens scoring with two-run home run in third. President Franklin D. Roosevelt was on hand for the fifth edition of the Midsummer Classic and the first to be staged in Washington, D.C. The American League cruised to an easy victory on the strength of a homer and four RBIs from Lou Gehrig and three scoreless innings from Lefty Gomez. a-Doubled for Blanton in the 5th. b-Singled for Grissom in the 6th. c-Grounded into a forceout for Mungo in the 8th. 1-Ran for Hartnett in the 6th. 2B: Medwick 2 (2, Bridges, Harder), Ott (1, Bridges). TB: Vaughan 2; Collins; Ott 2; Hartnett; Demaree; Herman 2; Bartell; Medwick 6. RBI: Medwick (1), Waner (1), Mize (1). Runners left in scoring position, 2 out: Mize; Herman; Vaughan; Demaree 3. Outfield assists: Waner (Gehrig at 3rd base). a-Grounded out for Bridges in the 6th. 2B: Cronin (1, Grissom), Dickey (1, Grissom), Gehrig (1, Mungo). HR: Gehrig (1, 3rd inning off Dean, 1 on, 2 out). 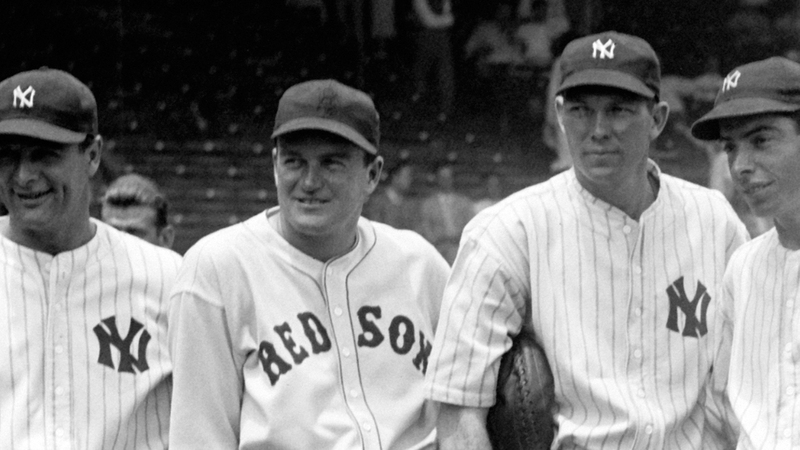 TB: Gehringer 3; Gehrig 6; Cronin 2; West; Dickey 3; Averill; DiMaggio; Rolfe 4. RBI: Gehrig 4 (4), Rolfe 2 (2), Gehringer (1), Dickey (1). 2-out RBI: Gehrig 4; Rolfe 2; Gehringer; Dickey. Runners left in scoring position, 2 out: Gomez; West; DiMaggio. E: Rolfe 2 (2, fielding, fielding). Outfield assists: DiMaggio (Whitehead at home). Game Scores: Dean 44, Gomez 57. Groundouts-flyouts: Dean 4-2, Hubbell 0-1, Blanton 0-0, Grissom 0-0, Mungo 1-1, Walters 1-0, Gomez 4-4, Bridges 5-3, Harder 8-1. Batters faced: Dean 14, Hubbell 6, Blanton 1, Grissom 5, Mungo 8, Walters 5, Gomez 10, Bridges 17, Harder 14. Umpires: HP: HP Umpire. 1B: Babe Pinelli. 2B: 2B Umpire. 3B: 3B Umpire.